We love cutting through red tape for our clients! Let Surety Bond Girls cut through the red tape and paperwork involved in getting, renewing or restoring your professional or business license. We specialize in expediting the Permit process for anyone lacking the time in their busy day to navigate through building department offices to get their permits filed and approved! ​On Site, Instant issue License &Permit bonds allowing you to stay on your job site, hassle free. Our A+ A. M. Best rated Insurance companies are here to support you! 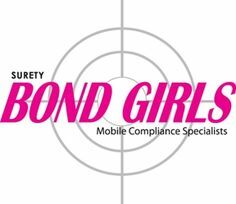 Surety Bond Girls have a mobile office that allows you the flexibility to stay at your place of business. We can offer the convenience of pick up and delivery services to many locations in the metro Atlanta area. All of our agents are fully equipped to handle your notary jobs. Is your client too busy to come to your office? Send us- we can meet them at a time that is convenient to their schedule and promptly return the original documents to your office. In many cases, we can offer same day service when we receive your request by 3:00 pm. quote a freight brokerage bond for you!